Craft time not only exercises kindergartners' creativity and imagination, but helps them sharpen motor skills and critical thinking as well. Here's a bank of great go-tos for when your little ones need a bit of guidance with their making. Teach kids shapes while building cute dinosaurs out of craft foam and glue sticks. Vary your colors and add more advanced geometry for a second round of prehistoric creation. Venture under the sea with your little one to inspire this brown paper bag craft. Have kids paint the bag (the more color and interest the better), then cut tentacles using decorative scissors. Add googly eyes to bring jellyfish to life. Kindergartners can work on motor skills by using scissors to make tight cuts into the sides of feather shapes. The final product mimics the texture of a real feather, and is a great stand alone make-believe prop, or can be combined into a number of other art projects. Tape washable markers to an old toilet paper roll to make one awesome mega-marker. Kids will love creating abstract masterpieces with their new multicolored media. Design color schemes around specific projects, or go rainbow for full on technicolor drawings. Bring the pure joy of a Snow Day inside where it's warm with this recipe for faux snow. Baking soda and shaving cream get the glitter treatment and become a mold-able alternative to slushy ice. Experiment with a variety of produce to halve and press, as well as surfaces to pattern. This project is a great alternative to the trash bin as well–mealy apples still stamp well, as do celery hearts and partially-eaten corn cobs. Baking soda, glue, and saline make a super-stretchy and super-safe slime that's perfect for kindergartners. Kids can create slime in a bunch of different colors, then squish around for hours relieving some built-up kinetic energy. Sprout a DIY indoor garden using recycled egg cartons! Kids practice using scissors, paint, and glue to create this 3D art project. This one's great for celebrating springtime or breaking cabin fever. Spare cardboard and a little creativity bring the arcade home with this project. With some adult help, kids can structure a series of ramps to send a ball cruising down to the finish line! Upcycle used K-Cups into cute little animals, like frogs on lily pads. Add googly eyes and foam legs and let kids' imaginations run wild: ladybugs, kitties, and dragons are all possible with clean K-Cups, construction paper, and colorful paint. 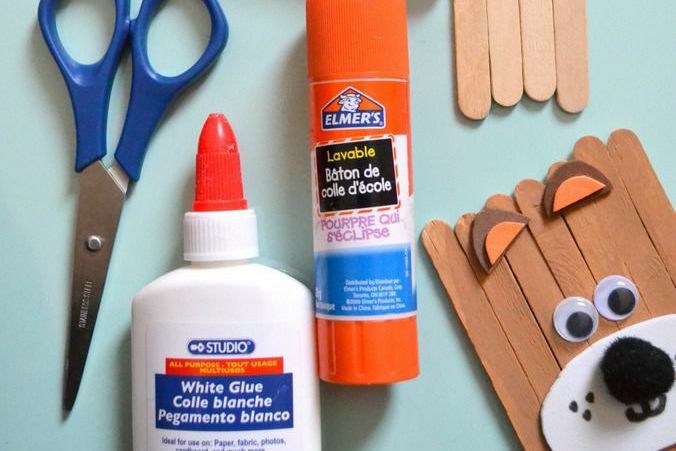 Refresh tired Popsicle stick crafts with a menagerie challenge! Feathers, foam, pipe cleaners, and pom-poms give kids endless options to create their own personal petting zoos. Add a friendly Popsicle stick cactus or tree for atmosphere. Put those old CDs to good use with this cute kids' craft. Tissue paper gets decoupaged onto the disc for the perfect circular body, then spindly legs and claws get added. Don't forget the googly eyes! Little ones can get nice and dirty helping plant bulbs in clear containers–all in the name of science! Clear plastic gives children front row seats to sprouting plants, and will help engage them in daily watering and plant care. With a little magic (a spray bottle full of water), kindergartners can watch marker-ed coffee filters turn tie-dye in seconds. Decorate with construction paper and coffee filters become monsters (or peacocks, or insects, or flowers)! Combine snack time with craft time for a cute, edible project that little ones will love to construct and then devour. Kids can practice their colors using Froot Loops, and then enjoy a sweet reward for an activity well done. Legos get blown up with this fun DIY! Little ones can even Mr. Potato Head-style change out hair and facial features on their larger than life Lego people–create ball players, pirates, and clowns all in Lego style. Save money with DIY play dough, and don't stress when little ones leave their sculptures out to harden. Kids can get in on the dough-making by helping knead and stir (supervised, of course)! Recycle spoons into fluttery bugs with this easy craft. Little ones can practice patterns decorating the wings, then assemble their insects using craft glue. These dragonflies turn out so cute, this is one infestation you'll welcome into your kitchen.